This is an outcry rather than a letter to the editor. In recent days we heard government officials stating how much is being done in the name of sports, both for the present generation and those to follow. 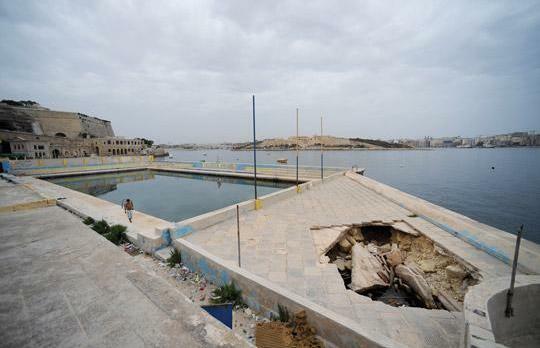 I appeal to Parliamentary Secretary Clyde Puli to take immediate action and confiscate the premises and all the rights to the Valletta Waterpolo Club. Once the envy of every aquatic club on the island, it now lies in a disgusting state, having been ransacked of anything moveable, a nesting ground for drug addicts and with serious structural damage that can lead to a disaster. Marsamxett has become the most congested parking zone since the removal of several centralised parking areas. It is also outside the CVA zone, meaning that its popularity is on the increase. Therefore I suggest that this unique swimming complex is rehabilitated and given back its former glory. Only then can one start rethinking of revival of the waterpolo team with a complementary nursery.